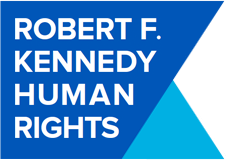 The Robert F. Kennedy Human Rights Award honors an individual or group of individuals who stand up to oppression at grave personal risk in the nonviolent pursuit of human rights. Since inception, the Human Rights Award has honored activists from 30 countries. Nominations are due January 31. Please send a detailed response to the following questions. No answers are obligatory; however providing more detail will allow our review team to better determine your nomination’s qualifications. 1) How does the nominee conduct his/her human rights work? 2) Is the nominee located outside the country in which he/she is affecting the human rights movement? If yes, please specify where they are located and whether the nominee is able to travel to the country she/he works on. a) What are the main human rights issues the nominee is working on to advance? b) What are the nominee's human rights goals and objectives? c) What tools does the nominee use to achieve his/her human rights objectives? Please provide examples (Tools may include but are not limited to include: Litigation, Advocacy, Service Provision, Documentation of Human Rights Violations and/or Data Collection, Public Campaigns, etc...). d) What are the nominee's greatest accomplishments in advancing their human rights goals? 4) If possible, please provide reference to or copies of written examples of the nominee's human rights work or news accounts describing it (i.e. essays, project reports, articles, website pages etc.). Please note: If desired, you can upload additional documents.